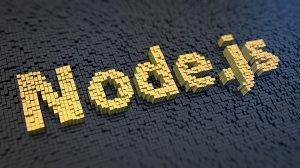 Many people may have heard of Node.js but might be a bit unsure as to what exactly it is. Although it sounds very technical, don’t worry, it really isn’t that hard to understand. Node.js is an open-source, runtime environment and free to use under the MIT license. As a cross-platform, it can run on Windows, Mac or Linux which gives great flexibility and doesn’t present any device-specific user issues. Being open-source, it can also produce more applications which naturally gives it more capability. Many popular applications have been developed over the years by the Node.js community which is proof of this superb feature. Node.js makes use of asynchronous programming which is a bonus for usability and time-saving on a job! Every I/O operation is non-blocking which means you can perform multiple operations at the same time. Trust us, this is a real plus point and enables you to send e-mails, read files and perform database operations at the same time. This gives Node.js the advantage of offering great scalability and throughput to applications. If you are looking for the best Node.js Leicester developers, then contact us now. We are fully conversant in this superb web development language and will be able to use it to build you a fast, efficient website, app or software at a great price!